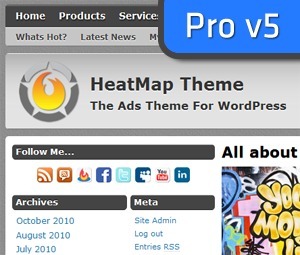 HeatMap Theme Pro WordPress theme. The Professional Adsense Theme for WordPress. Brought to you by HeatMapTheme.com.